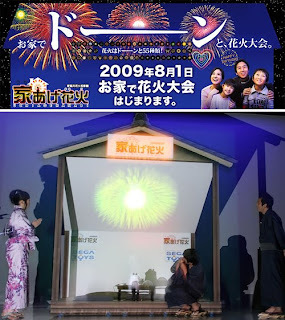 It's a pity it became available after the 4th of July, but if you're a big fan of fireworks you won't be able to resist this virtual firework prjector from Sega Toys? You'll be able to create your own fireworks shows choosing from the 55 existing explosions. It works with AAA batteries and is quite small - so you can carry it with you whenever its needed. It costs about $160... which may or may not be worth it depending on how much you love fireworks. One thing's for sure... it certainly is a lot safer than handling real firework!